Bay Area Rapid Transit officials said a suspect tied to a flash mob-style robbery over the weekend has been arrested. The suspect is a minor and officials are not releasing an identity. More warrants for multiple identified suspects are also on the way, BART said Friday. The violent robbery was reported Saturday after a mob of 40 to 60 young people streamed onto a train at the Coliseum station in Oakland. 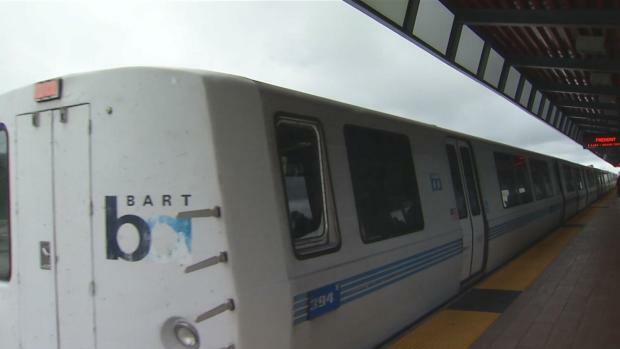 Suspects jumped the fare gates at the station around 9:30 p.m. and then boarded a Dublin/Pleasanton-bound train and committed at least seven robberies while injuring at least two people, according to BART police. BART officials on Thursday are cracking down on crime. Pete Suratos reports. The identification of some of the suspects in the case came from video surveillance footage from inside the train car where the robberies occurred, BART officials noted.